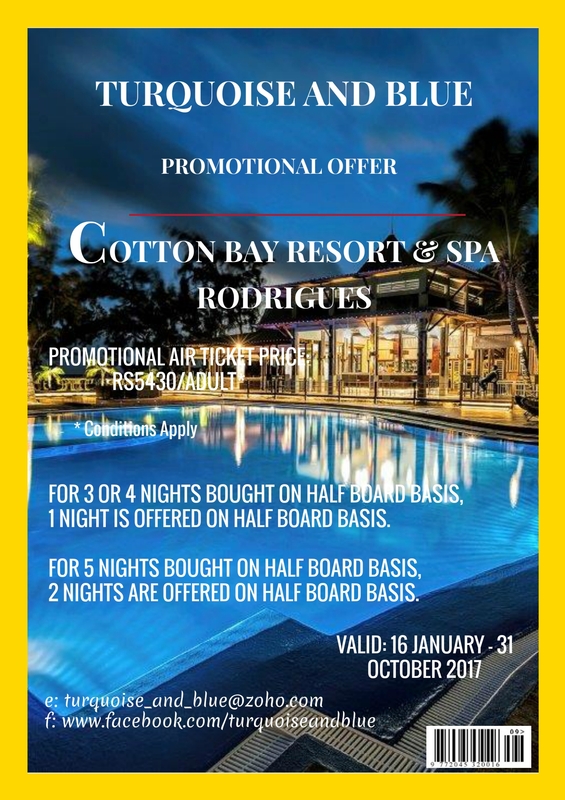 Cotton Bay Hotel is situated at Roche Bon Dieu,Trèfles on the north-east coast of Rodrigues Island. 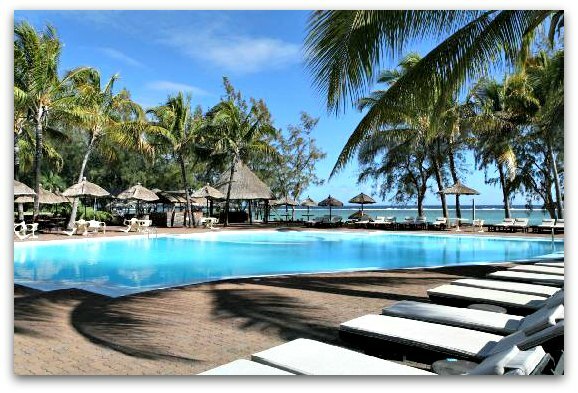 Nestled in a secluded and peaceful place along one of the finest beaches of the island known as Pointe Coton, the 3-stars hotel is a perfect tropical holiday destination for friends, family and honeymooners alike. It has bungalow styled accommodations which overlook the white sandy beach and turquoise lagoon. The resort is 40 minutes from Rodrigues Island Airport and 25 minutes from Port Mathurin, the Capital City. For more information about the Cotton Bay Resort & Spa travel package or booking, send us a private message on our Facebook page. Click here >>, or use the Contact Form. All rooms are equipped with air-conditioning, ceiling fan, mini bar, telephone, music system, TV and satellites channels, hair-dryer, safe, and private bathroom with shower and toilet. The bathroom of deluxe rooms, junior suites, honeymooner's suites and master bedroom at family apartment has a separate bath and shower. The suites are located in separate bungalows for privacy and convenience. Laundry service and a boutique/gift shop are also available. The main restaurant, Le Cono-Cono offers Rodriguan cuisine, international dishes, American breakfast, dinner with open theme night buffet or menu a la carte or menu table d'hôte. A snack service and a la carte lunch/buffet are available during the day. Le Village du Pêcheur beach bar and restaurant: open everyday for lunch and dinner from 12:30-14:30 and 19:30-21:30; offers seafood's plate and BBQ. Besides lazing on the beach, you can also opt to experience a more lively tropical holidays. The hotel offers diving, hiking, windsurfing, sea kayaking, and snorkeling activities. All inclusive package with 2 course meal lunch, afternoon tea and coffee, pancakes, local brand alcohol, fruit juices and mineral water. (Note:details are as provided by hotel and may be subject to change without notice). ► Special offers: one night or two nights offered (conditions applicable). No penalty for cancellations received more than 30 days prior to arrival date. Special package for Mauritians and residents. Do you have tips on, or a story about Cotton Bay Resort & Spa? Write your review, including what you appreciated, or felt like could be done better. We are sure others would love to hear all about it.